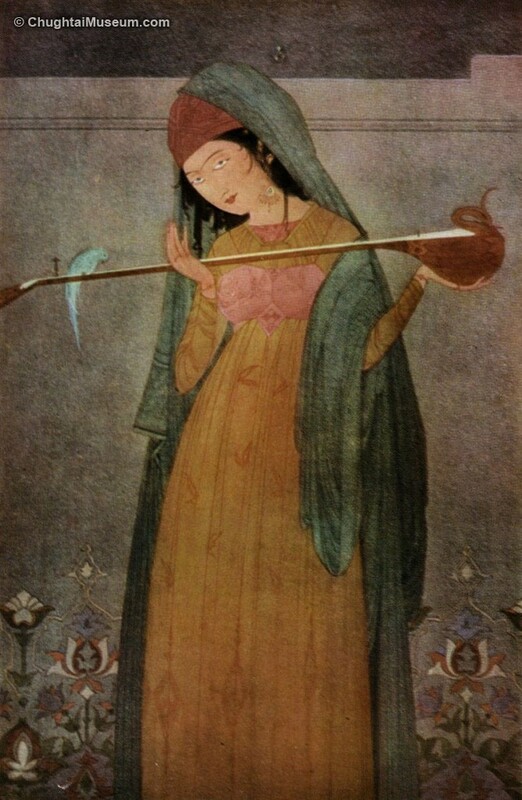 A long time back our Rata Totas (repetitive parrots) started talking about Chughtai Art. 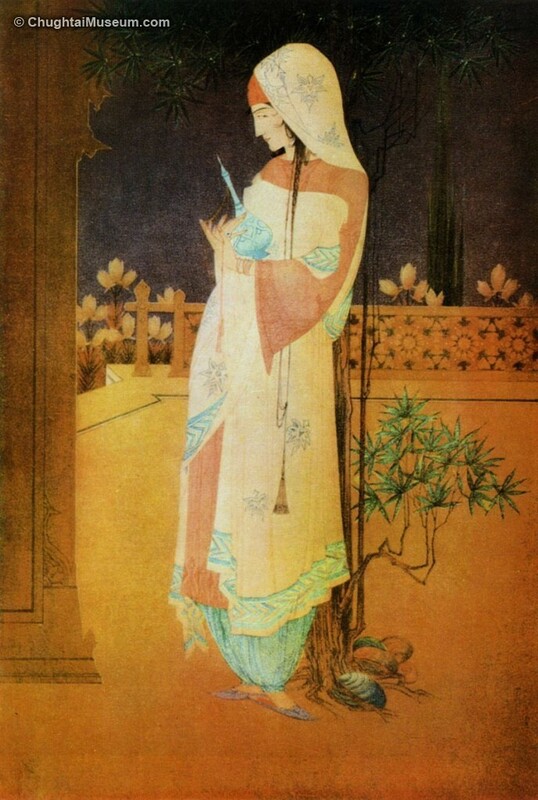 Not knowing even an iota about the subject, and possibly most not having seen one Original Chughtai, everybody started talking like he had a PHD course on Chughtai Art. That ended in my writing of the book FOMENTING DOUBTS Game Plan of Cultural Terrorism. The talk stopped for some time. Works stopped coming to Auction houses. I had proven in the book of mine that at that time eighty percent of what was being sold at Auction houses were FAKES and I had the testimony of the man in Karachi who used to make them for various VIPS of Pakistan. He was paid just Ten thousand Rupees and the persons involved made millions. That was so unfair but nobody was paying attention to same. My presence was resented by many for spoiling their easy business. 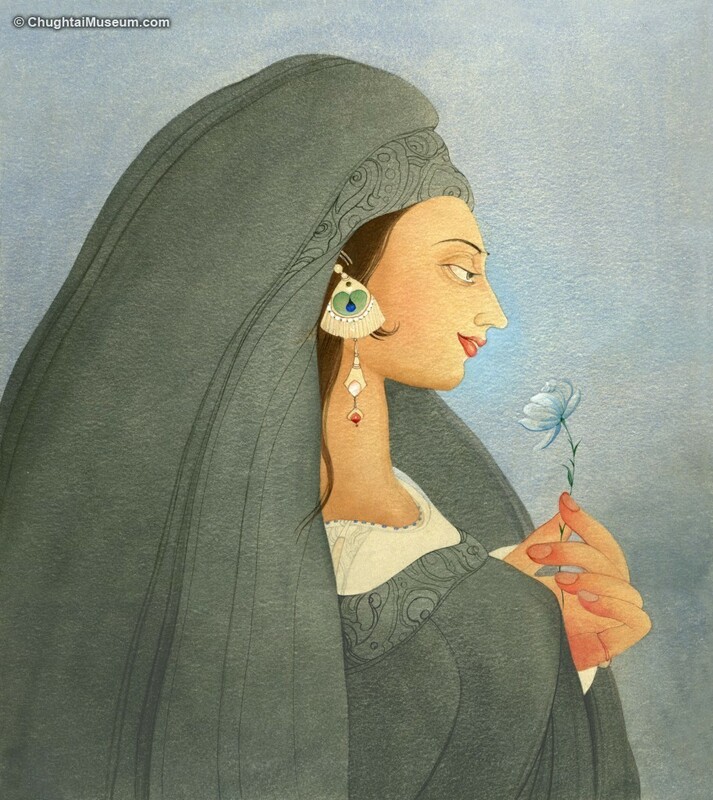 Ms Christa Paula of Bonhams was the first person to involve me in the Authentication of paintings of Chughtai Art. I did it for her free of cost for some years. Then even Maureen Rizvi and Nour Aslam got my help. I have written letters from them to prove my contention. Then again they stopped doing so. It was not easing business for them, proving fakes all the time. Recently a picture came up at Bombay which I proved to be fake and it was withdrawn by the company. I love Ms Sonali Dean for listening to me. Three pictures have appeared in London. All three are fakes with manufactured provences and everybody knows they are manufactured but business remains business. 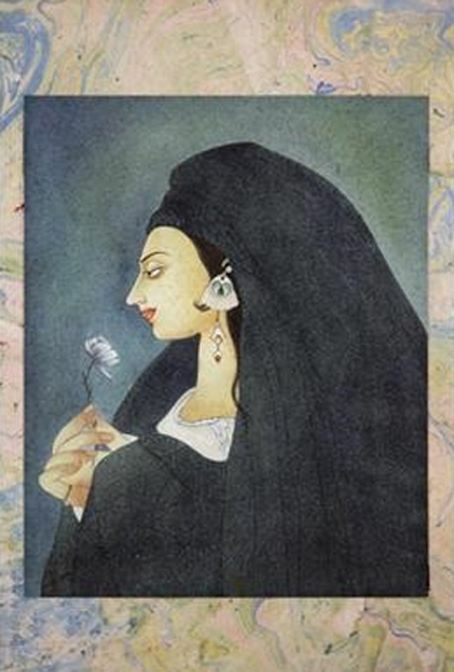 We publish all three with all three Chughtai originals. These three are not with us and we are using printed Versions from Chughtai Paintings, the book printed first in 1939, then in 1941. To the best of my knowledge most of these would be with the Nizam of Hyderabad or in the State Museum Hyderabad or the Salar Jang Museum. Privately very few people could afford to buy them even at that time.. 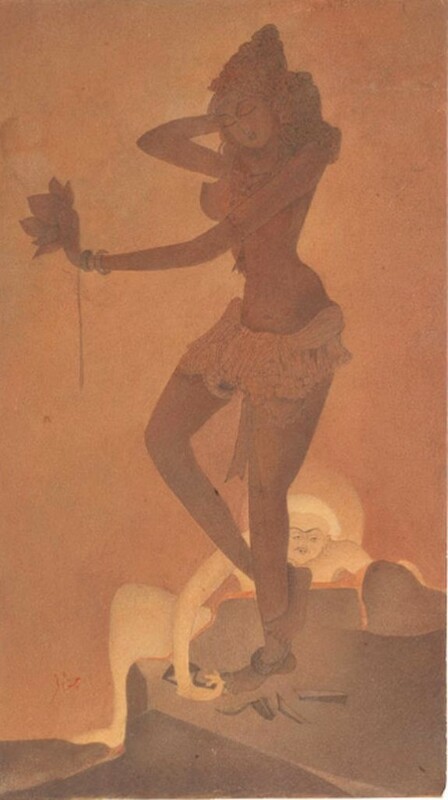 The Nawab of Bhawalpur did buy 10 paintings in 1920 and we have a list of them but the Nawab did not buy same in the 1930s. 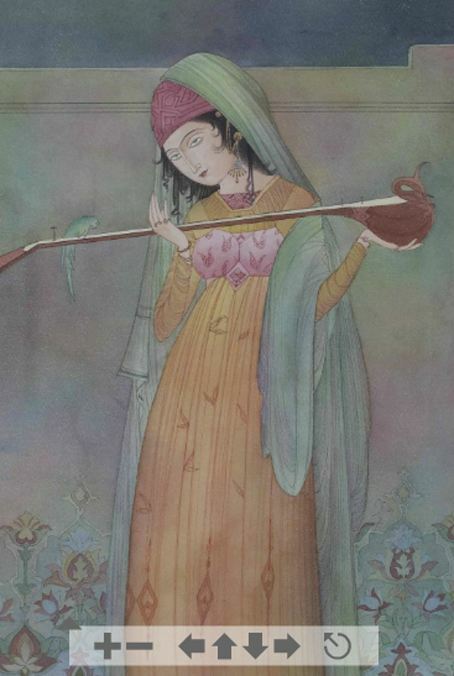 These paintings were of the type that there was no need for Chughtai to repeat them. Yes, Marcella Nesom says so, but who told Marcella Nesom all this. I did when she came here to our premises in 1978 without even knowing the name of Chughtai as she was working on a PHD on Textilles. We have her form etc all duly signed by her. Documented evidence is my forte. I am the son of the artist. Eighty percent of whatever he produced is with us. I run his museum,. I promote and preserve him and do research on his works. 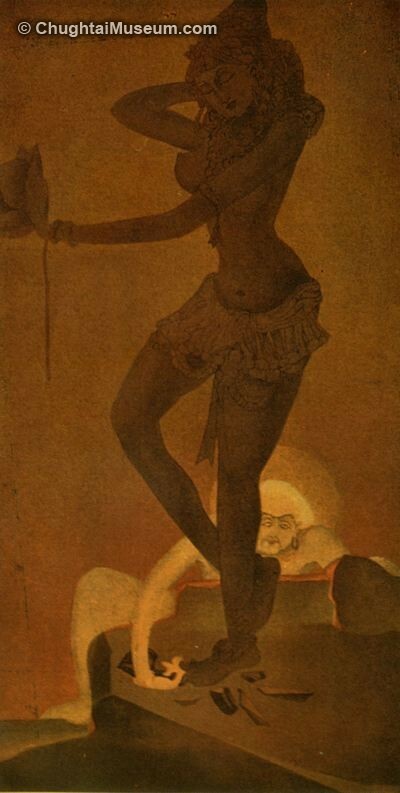 People know nothing about Chughtai Art nor do they even bother to ask. I am working nowadays with a few leading experts on Winsor and Newton colours and Whattman papers and will shortly be able to present Scientific evidence of all that we say that there is. The mouth of those who bark will be filled with their own crap soon. Till then buyers beware! Notice, check, research. Do not take Western Scholarship at its evidence. The work “Summer Rose” made only once and original with us, auctioned in London some years back for 66000 UK Pounds. No one will create (recreate) the masterpieces of Abdul Rahman. Winsor and Newton Artist Professional colours and Whattman hand made paper, the rates of degradation for these are very different from commercial chemical colours even made by Winsor and Newton but no one understands that for they have no knowledge. Imbeciles and morons not even wiling to listen. 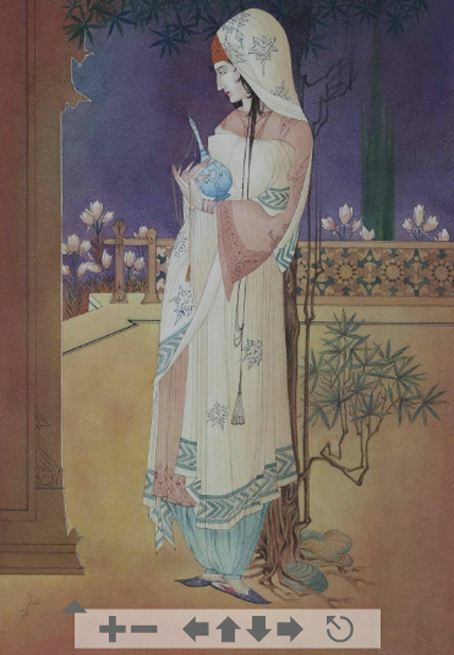 Chughtai never used one colour, he MIXED MANY COLOURS to make colour of his choice., No one can duplicate that. That is why colours so different in copies. Dear Arif Sahib, I recall you from a visit to your Ravi Road house just after your father’s demise in 1975. And it is sorefreshing to come across your blog. Now this blog about the fakes world markets is verydisturbing. I have personally seen at least a dozen or so paintings of your great father hanging in rich pakistanis houses in London during my professional work for them. They all held powerful posts in government in your father’s time. Now I always assumed they pilfered them from state institutions. But your statement sets the doubts in!